Australian Food and Pharmaceutical Industries (AFPI) has created a digestible chewing gum that is sugar free and made from 100 per cent natural ingredients. The company wanted to make a gum that didn’t cause gastric issues when swallowed, or contained synthetic resins, fillers, preservatives and artificial sweeteners. Mast Chew, a sub-brand of AFPI, is made from an ancient Mediterranean gum called Pistacia Resin. Used for thousands of years to maintain gut health and treat abdominal related issues including heartburn, gastric and intestinal ulcers, Pistacia Resin is a mastic-like secretion from the Pistacia genus of trees, the company explains. It is combined with Xylitol and mint to create a unique yet familiar minty fresh flavour and texture that cleanses the mouth and soothes the stomach. Containing no synthetics, latex, sugars, colours, additives or artificial sweeteners, Mast Chew is easily digested by the body and has been shown to assist in the treatment of stomach ulcers when swallowed. Offering antimicrobial benefits, Mast Chew assists in the aid of dental hygiene by preventing tooth decay and eliminating bad breath, according to the company. Chewing of gum has also been linked to reduced stress, improved memory function and decreased hunger levels by mimicking the rhythmic act of chewing food. 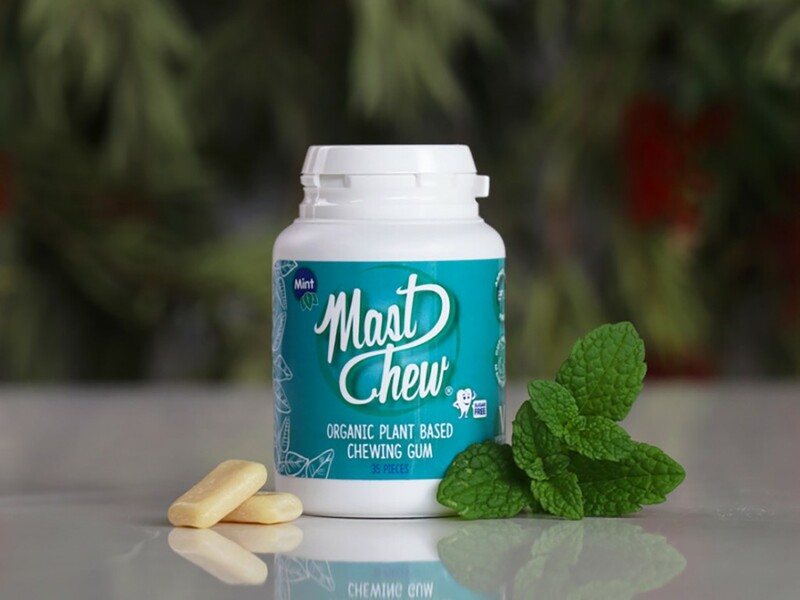 Mast Chew was founded by Dr. Sharif Sharifi in New South Wales. It is available in a 16-piece blister pack, at an RRP of $4.50, and a 35-piece bottle, at an RRP of $6.95.